Over the past decade, architect and anthropologist Salima Naji has worked to save the heritage of several oasis towns in the anti-Atlas mountains of Morocco. The Southern Moroccan landscape is dotted with fortified citadels and granaries that were built by the indigenous Berber tribes. These impressive structures hold significant spiritual value and are defining landmarks of the region’s cultural inheritance and religious history. 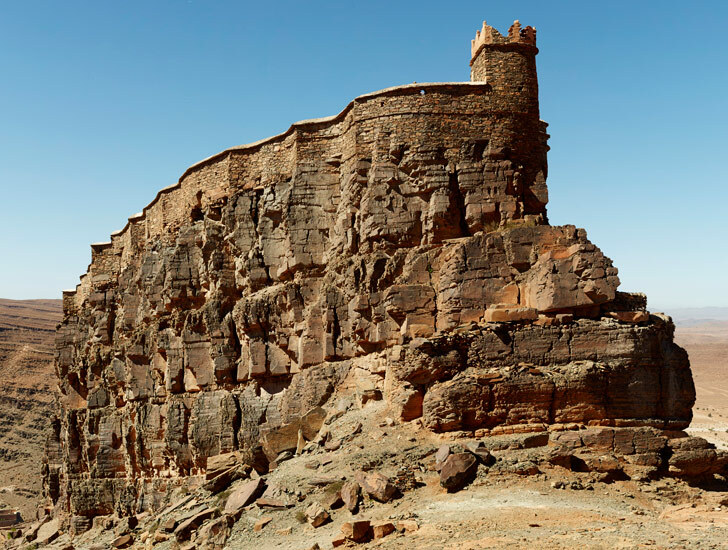 The fortresses served as both symbols of freedom and holy sites for the Berber people, which continued even after the tribe’s conversion to Islam. Naji’s work on four sacred sites, ranging in scale from communal granaries to partially abandoned fortified towns, has landed her on the shortlist of finalists for the prestigious Aga Khan Award for Architecture. Serving the Moroccan Ministry of the Interior, Salima Naji has ambitiously untaken the restoration of two Agadir of Amtoudi, the rehabilitation of Qsar Assa, and the rescue of collective parts of Agadir Ouzrou. This network of fortressed granary sites in Southern Morocco has fallen into decay with the decline of traditional Berber architecture. The spread of modern standardized architecture from the north has made vernacular building methods obsolete, discarding the religious inheritance and communal identity of the region. In a participatory process that is reinvigorating the sacred and collective oasis sites, Naji’s work provides an alternative model for conservation in Morocco. Through the use of local masons and unskilled workman whom she has trained, Naji fosters a relationship between the community and the historic built environment. Her projects extend beyond simple restoration to include the creation of new, communal spaces such as village squares, public walkways, and outdoor theatres. The revived fortified granaries transform into venues for poetry contests, feasts, and traditional Berber song and dance performances. The inclusion of both new and traditional community groups in the process of conservation gives a modern cultural relevancy to the formerly abandoned sites. Salima Naji teaches us that the act of conserving architecture and civic space on the basis of heritage preservation is sustainability at its best. Serving the Moroccan Ministry of the Interior, Salima Naji has ambitiously untaken the restoration of two Agadir of Amtoudi, the rehabilitation of Qsar Assa, and the rescue of collective parts of Agadir Ouzrou. 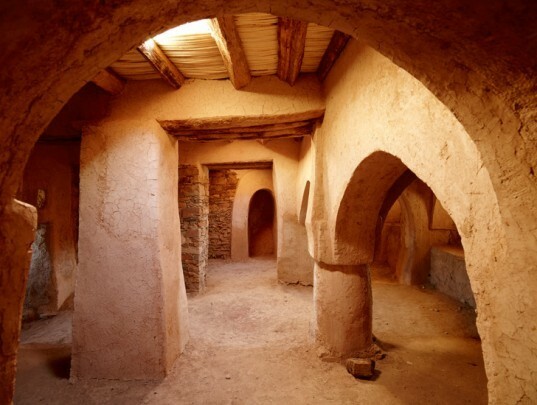 This network of fortressed granary sites in Southern Morocco has fallen into decay with the decline of traditional Berber architecture. The spread of modern standardized architecture from the north has made vernacular building methods obsolete, discarding the religious inheritance and communal identity of the region. Through the use of local masons and unskilled workman whom she has trained, Naji fosters a relationship between the community and the historic built environment. In a participatory process that is reinvigorating the sacred and collective oasis sites, Naji’s work provides an alternative model for conservation in Morocco. Her projects extend beyond simple restoration to include the creation of new, communal space such as village squares, public walkways, and outdoor theatres.